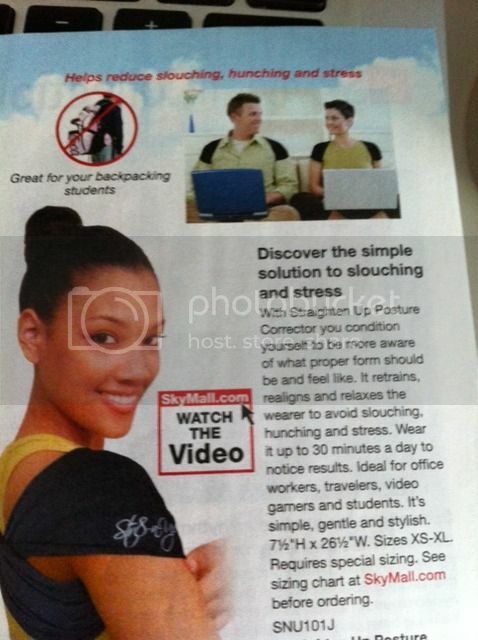 I've come to the conclusion that the target market of SkyMall magazine is this very specific demographic: people who have no hair, pets they want no interaction with whatsoever, and bad posture. This bald hunchback looking for a way get out of feeding his cat is gonna get hooked UP. SkyMall is one of the best parts about flying, am I right? I think they just keep producing them solely for entertainment purposes and make their money on ads rather than actually selling anything. They're there in case you run out of time to go by Houston News on the way to your gate and therefore can't catch up on your celebrity gossip. That has to be how they stay afloat. Not actual sales of this nonsense. And even then they must only break even given the cost of printing and distribution. I mean, who looks at SkyMall and is like, yes, I need to make that call as soon as I am allowed to turn back on my approved cellular device when we land? Even if you did want something you saw, you'd just go google it and probably find it on Amazon for cheaper with free shipping. Additional question: is it a required trait that anything in Skymall must look ridiculous when worn and/or used? I submit that it most definitely is. Anyway, in light of my recent trip to Pennsylvania and the gems I found in the current edition of the illustrious SkyMall, I thought I'd do a review of sorts, in case you don't have the privilege of flying any time in the near future. 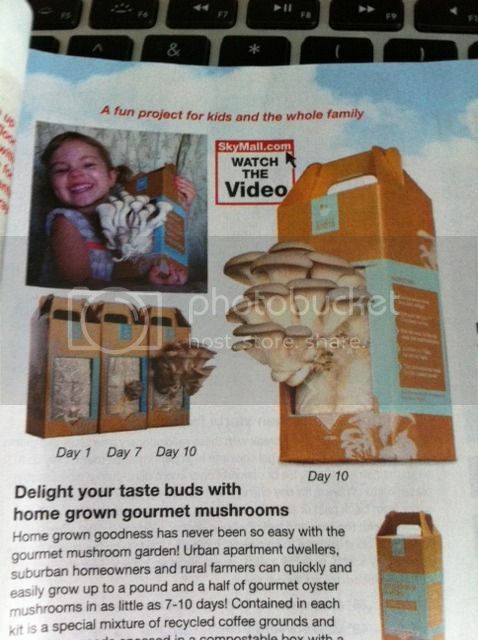 Grow what looks like a flesh-eating fungus in your very own house--with your kids! It almost definitely won't overtake your home and family while you sleep. Number one thing husbands and wives do not do happily together: wear posture correctors and like it. At best this would be something a husband did in order to shut up his nagging wife, and really, who wants to be that couple? Come to think of it, who wants to be the Couple with Matching Perfect Posture? We're done here. 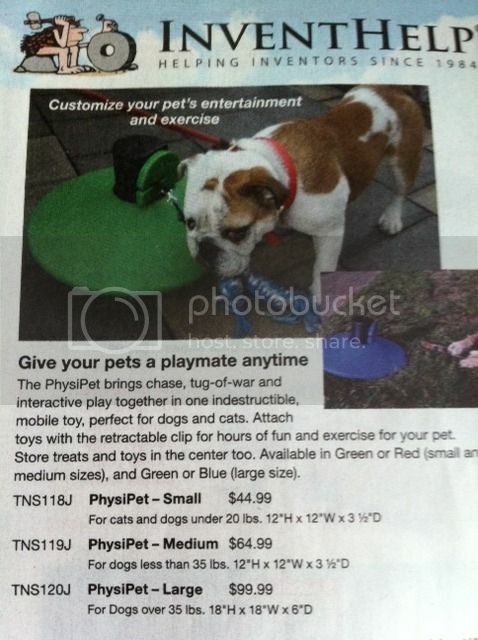 For people who got a pet, then had a kid and forgot about the pet. A hiccup stopper. 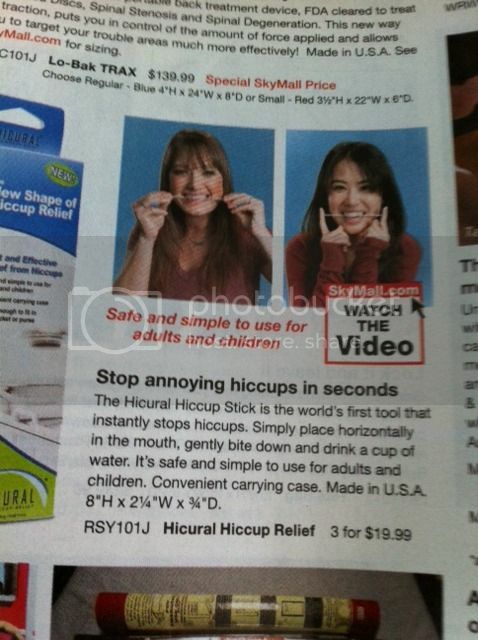 Know what also works to stop hiccups? About 15 other methods that are not $19.99 plus shipping and handling. Changing your breathing pattern. Hanging upside down and swallowing water. Waiting like 10 minutes. All of the above are effective methods of ridding yourselves of hiccups. Sure, hanging upside down and swallowing water may make you look dumb too, but at least you didn't pay 20 bucks to do it. All this time rural folk have thought they've been seeing real live bigfeet, but no, it was merely the misguided shenanigans of someone who had been on a plane recently and also had too much expendable income and time on his hands. Sorry, Bobo. But hey, this will save you having to do a couple reenactments. 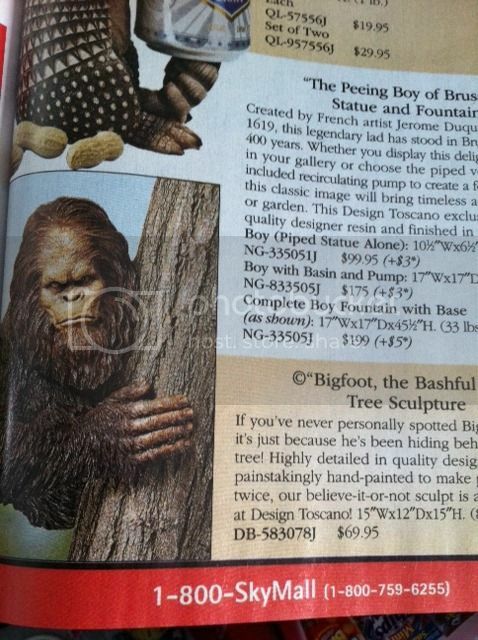 Also if you're not purchasing this fake bigfoot to fool simple country folk, you need to reevaluate your life choices. And budgetary decisions. Because trickery is the only valid reason for purchasing this item. Guys. Guys. You guys. Forget Rogaine. Forget Hair Club for Men. The spacepod hair growth enhancer helmet is FINALLY here. Nevermind the fact that we've already established the average helmet is a fashion faux-pas, let's add tiny lasers and throw a lowercase "i" in front of the name and just round this thing out with a whole new level of terrible. Sometimes embracing baldness is more attractive than wearing a glorified salon hair-dryer contraption on your head, y'know? ALSO aren't lasers used to remove hair as well? How can lasers both remove unwanted hair and grow back wanted hair? Do lasers have the power to discern which is the desired effect? Are there different types of hair-related lasers? Is this all a trick? Someone buy a spacepod hair-growing device and report back. 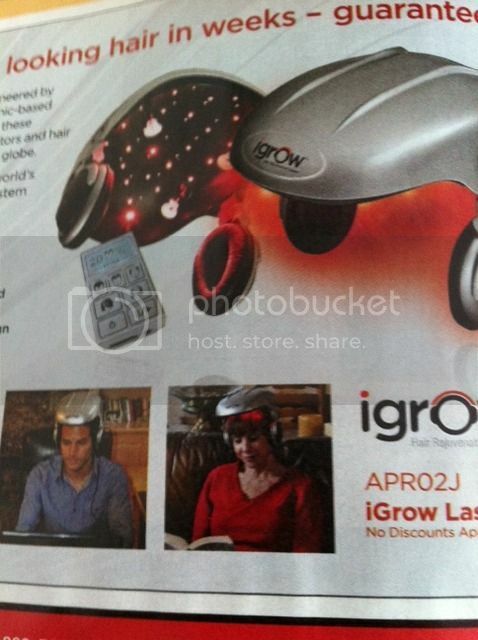 Thus concludes the highlights of the SkyMall magazine, October 2012 edition. Please go forth knowing these things exist in real life. * Except maybe the bigfoot. Might be worth it. It's almost halloween, right? What's the worst thing you've ever seen in SkyMall? Would you ever consider purchasing any of the products I mentioned above? *Or do they? New theory: SkyMall is a fraud and uses stock photos to compile the images in the catalog, knowing that no one will actually call to order one of the products displayed. Just a theory. Older PostNicki Minaj vs. Mariah Carey: It's already happening.